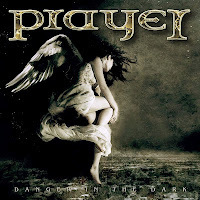 PRAYER: "Danger In The Dark"
It has taken seven years for Prayer main man Tapani Tikkanen to follow up the band's debut "Wrong Address". Good things come to those who wait they say, but in this case I can't agree. While the first album was a decent AOR disc, "Danger In The Dark" falls short when it comes to the songs and especially the production. The songs aren't actually too bad. Msybe not quite as good as on the previous album but mostly likeable enough. The title track could be a new genre classic with a better production, and "Find Another Fool" and "Never Let Your Dreams Die" aren't far behind. I like Tapani's positive lyrics, there's plenty of uplifting spirit on the album. But the production... I don't know how many studio hours were spent on these songs during the years, but the results are far from perfect. The drums sound lifeless and plastic, and the overall sound is kind of messy. Sounds like there's too much emphasis on the higher frequencies. Just so that we don't have to wait another seven years for the next album, I'd like to suggest that Tikkanen would take a look into the past and resurrect some of his 80'ies "Tanna" songs to this project. He wrote some deadly sharp hooks back then and I'm sure the AOR fans would get a kick out of those songs. 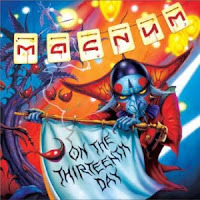 MAGNUM: "On The 13th Day"
It’s quite scary to thing that 2012 is the 40th anniversary year of Magnum. As Tony Clarkin and Bob Catley were laying the foundations of what would be a classic British rock band, current drummer Harry James was at junior school, whilst bassist Al Barrow was probably still soiling nappies. Since then they’ve split up for a while (after the yawnsome “Rock Art” album), had a go at a new start with the excellent “Hard Rain” project (essentially Magnum without the name) and released 15 studio albums. “On The 13th Day” is number 16, and comes graced by an oddly subdued Rodney Matthews cover. It’s no secret that I have been a Magnum fan since I was Bob Catley’s height (bless him), and I’ve welcomed the four post reformation albums with varying degrees of happiness. 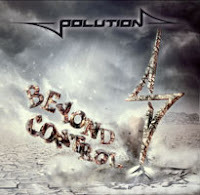 As stand alone albums they haven’t been as good as I’d hoped, although when the best bits were slapped on last years “Evolution” album it all turned out rather well, not least because the two new tracks on the compilation brought a great deal of hope for the band’s future. “The 13th Day” is, as ever, a mixed bag, but I can confidently say it’s my favourite of the bands recent work, probably the best since 1992’s “Sleepwalking”. There’s no mistaking the Magnum sound, and it goes without saying that Bob Catley does a sterling job on vocals throughout. Songwriter Clarkin knows to include every instrument in the mix, with his own contribution being strong but never showy. There’s only a couple of faster paced numbers here, with “So Let It Rain” seeming almost like a challenge to fans who bemoan the lack of catchy, chorus led tracks these days. Simple and repetitive, it does it’s job well, whilct “Shadow Town” adds a little more depth but still with a killer chorus hook. Elsewhere, the tracks conform more to the modern Magnum sound, but are just that bit better than previous efforts. Opener “All The Dreamers” reminds me of “That Holy Touch”, whereas “Blood Red Laughter” follows it and conjures memories of “Brand New Morning”. This isn’t a copycat album by any means, but it does retain the riff led style of the recent stuff. It’s not a perfect album by any means. It closes with “From Within”, a song that has a good chorus but bland verses, whereas “Dance Of The Black Tattoo” could have been a filler track on any of the last 5 releases, the best thing about it being the title. As with any Magnum album, it starts to get in your head after about 5 plays, and your favourite track will probably change week by week. Although they are unlike to ever match their mid 80s melodic rock glory years, “The 13th Day” is an album that can be held as a sign that there’s certainly life in the old dogs yet. Vorpal Nomad? Production-wise, clearly a case of the Newcastle and Neat Records sound 'ala 1983! Musically, the lads are paying/playing major tribute to eighties teutonic metal albums such as "Branded and Exiled" (Running Wild), "Reign Of Fear" (Rage), "Battalions Of Fear" (Blind Guardian), "Hypertrace" (Scanner) as well as the odd reference to cult NWOBHM act Angel Witch. At least they totally sound like the next generation of above mentioned bands/albums and it surely must have been Vorpal Nomad's main source of inspiration? They're actually from Bogota, Colombia (hold your drug-related jokes, please) but could just as easily have been from Bayern or Stuttgart. Their singer (Felipe Machado Franco) is a spot on deadringer for Peavy (Rage) with just a hint of Blackie Lawless (WASP) and Rock N Rolf (Running Wild) for good measure, and there's absolutely no need to worry about any weird vocal accent really. 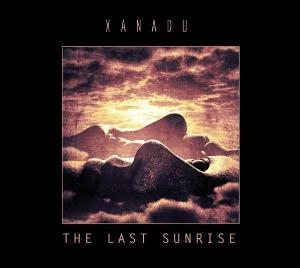 The eighties dated production was mixed mastered and post produced by German producer Piet Sielck of the band Iron Savior. This is no garage album, nor is it top notch, it's probably the result of lessons learnt from listening to all those old records. It's 'back to basic' or if you prefer 'meat and potato' heavy/power metal. Nine tracks where the opening title track is an instrumential introduction. Titles such as "Skull Island" and "Jack O'Lantern" will obviously have you thinking about Running Wild. 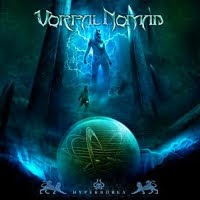 But there's more to Vorpal Nomad than pirates and buccaneers as the songs are accessable to plenty of old skool metal fans. Raw, savage, sinister... good. 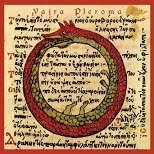 I almost feel a sleep while listening to the opening few seconds from the concept album, "Gergovia", and woke up screaming along to the mad ramblings of the band's growler. Are you guys familiar with the old saying: when there's no more room in hell, the dead will walk the earth? Sure, it's from a movie (Dawn of the Dead), but that's exactly how you feel after spending all your precious time listening to the demonic vocals of Pierre-Alexandre Plessix and his merry crew. The horror, the horror. The name Catuvolcus means Battle Wolf in ancient Gaul language and represents a gaul (Gallic) chief of the Eburons tribe (don't ask, read on). In 52 BC, Caesars legions plunder Gaul, casting a shadow over these scorched lands, annihilating any hope of prosperity. 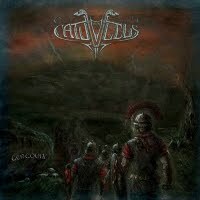 Catuvolcus has taken upon the duty to redrawn the lost steps of the roman defeat with nine epic titles inspired by the writings of the past and the present. Bloody 'ell, their entire album is sung in Moliére (google if needed) and it's very much in the tradition of early Samael and at times Bathory. The guitar and bass work is fast, vicious, and frantic, and they're ceratinly a talanted bunch of musicians. But the growls of Plessix gets a bit weary in the long run and there really should be more clean vocals to keep the listener in constant owe. Indeed, the heritage of black metal pioneers casts a shadow over this vicious piece of handiwork, and it's perhaps mostly suited for the old skool fan. 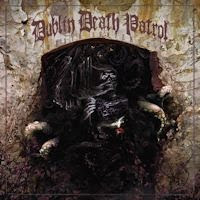 DUBLIN DEATH PATROL: "Death Sentence"
They sure had us worried for a while but Dublin Death Patrol is an old skool Thrash/Speed metal group in the eighties tradition and not a Celtic folk-rock pub act. There's no 'Oh, Danny boy, the pipes, the pipes are calling' among these tracks and instead you'll find good old morbid metal titles such as 'Blood Sirens', 'Welcome To Hell', 'Death Toll Rising' and 'Butcher Baby'. It's in fact the sophomore release from the Dublin/USA band fronted by Chuck Billy of Testament and Steve "Zetro" Souza of Exodus fame. Add to this Willy Lange of Laaz Rockit and Rampage, plus a bunch of other former Rampage and Tesla members and you're in for a small treat. Indeed, merely a couple of seconds of the opening, "Mind Sewn Shut", with its eighties Slayer-like riffing, and you know exactly what to expect from the "Death Sentence". Nothing groundbreaking or out of the ordinary eighties Thrash but a headbanging record that reeks of nostalgia and long gone daze/days. It's especially fun to listen to the clash of titans aka vocal duals throughout the record. Souza's snarling voice and Billy's touch of death is the perfect match in heaven... ehh, hell. Musically combining crunchy guitar riffs, energetic rhythmic structures and cliché like arrangements of the past, the result at times takes on a very familiar formula and sound. This also being both the strength and weakness of the band. It's bits and pieces of Testament, Slayer, Vio-lence, Exodus, and you can't help headbanging along to the melodies with a strange feeling of deja vú. Gekko or no Gekko, that's the question. What's the answer? At first spin I'm leaning towards the latter since this is frankly just too much hippie music for my taste. Their songs all fit under the traditional early seventies prog-rock banner, but it's a bit too experimental and out there even to some of the Pink Floyd fans. It's actually a lot more like those German Krautrock bands (Guru Guru, Karthago) or if you prefer a second rate version of Nektar? But I do enjoy some of the Nektar material and especially the epic sounding album 'Remember The Future' (1973). 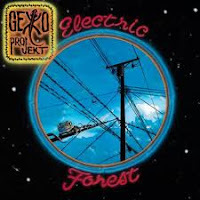 But to say that I'm totally buying the concept of the Gekko Project and their endless impro-jazz instrumential segments would clearly be a lie. The arrangements will obviously also remind you of early YES, and again, YES (pun intended) I really do enjoy the classic 'Close To The Edge' (1972) album, but a lot of their early material make no sense. The Electric Forest' is however an uncompromising prog-rock album with a really dated sound and formula which just as easily could have been recorded back in 1973. It's admirable and dedicated work by great musicians [Vance Gloster - Vocals/keys, Peter Matuchniak - guitars, Rick Meadows - bass, Alan Smith - drums] and the keyboards alone will have any old Nektar/Yes fan in tears of joy. The Electric Forest grows on you like fungus with each spin (up to a certain point) and the epic work of "Black Hole" and "Avatar Jones" certainly would impress any fan of the genre. Have a go at the Gekko if you enjoy the above mentioned acts. 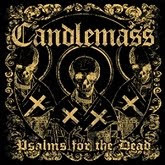 CANDLEMASS: "Psalms For The Dead"
There's a rumour going on that 'Psalms For The Dead' will be their swansong album? Yeah? For how long until there's yet another comeback attempt by the doom and gloom masters of Swedish Metal. We've heard it all before. Status Quo proclaimed to stop touring and recording back in 1986 and we're still waiting for the geezers to hang up their guitars and give it a rest. Candlemass will most probably return like a dodgy basement smell at a serial killer's house, you simply can't wash away all that filth and darkness. The mark of slow and psychedelic Sabbath-metal haunts the melodies as usual and the album is an serious attempt at utterly vicious rock. Plenty of arrangements steeped in the tradition of the first three albums (Epicus Doomicus Metallicus, Nightfall, Ancient Dreams). Only not quite as impressive of course and minus the ogre-like vocals by the mighty Messiah. Robert Lowe is the singer or rather was/were as he's been replaced shortly after the recording with another former vocalist of the band, Mats Leven (also ex. Yngwie Malmsteen, Swedish Erotica, Treat, etc). You pretty much get what you expect with 'Psalms For The Dead'. Crunchy riffs, a roaring hammond where the opening "Prophet" sets the mood of the entire album. However, Candlemass at times sound a little too pleased with themselves and it's all a very safe and predictable release. Not too shabby considering the missing messiah and the lack of original ideas. Black Rose, the Swedish band, not to be confused with the U.K. act or any other group using the same name. Originally formed back in 1990 and they recorded their debut album [Fortune Favours The Brave] in 1993 at the dodgy Danish label 'Bums'. A couple of mini-albums and a previous comeback attempt and album in the early 00's, the Swedes are now finally prepard to 'Rise Again'. The present line-up include original members: Thomas Berg (guitars), and Haga brothers (Anders - bass) and Peter (drums). The band's new singer Peter Thederan sings in a slightly higher range than previous geezer but there's still a bit of Ulf Christiansson (Jerusalem) to be found within his lungs (aka husky or if you prefer barbwire vocals). The song "Hunter" may remind you of 'Kill The King' and a dozen of other Ronnie James Dio performed numbers by Rainbow. Truth be told, the majority of tracks on 'Rise Again' will either have you thinking about a water downed version of Dio/Rainbow or Yngwie Malmsteen. Berg is a far cry from the technical masterminds of Blackmore and especially Malmsteen though and there should be no other comparison whatsoever really. The band performs very well together and the energy inherent of earlier releases hasn't deserted them. 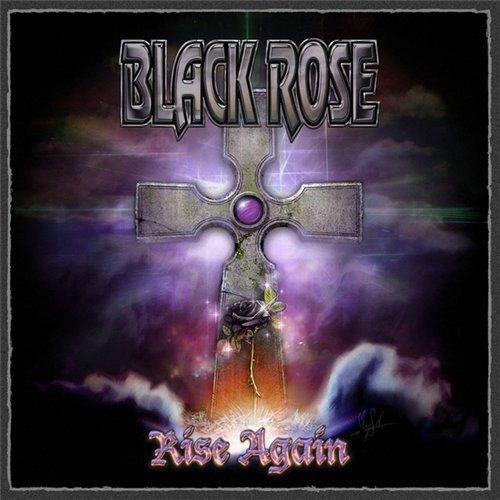 Black Rose feels like genuine musicians as they're performing the typical heavy metal of the eighties and the fretboard work of Berg is spot on noisy. DAMN VANDALS: "Done For Desire"
Damn Vandals - a bunch of holligans from The UK with a heavy rock/punk sound. Take the seventies attitude of acts such as Television and The Damned, add the odd Jesus and Mary Chain and The Cult, throw in some of the early nineties Britrock, and finish it all off with Frank Black, and you're sort of close yet nowhere near to the full picture. It's sinister and dark music with a tongue-in cheek feeling and agenda. What else to expect from song titles such as "Kids Want Guns" and "The Revenge Of Spider Toothy". Don't go thinking it's all fun and games as the avant-garde firmly holds its grip around these geezers. "Done For Desire" is their debut album, following on from the acclaimed 'Beautiful Mind' EP, which had the UK press drooling including being made Shaun Keaveny's Record of The Week on his BBC6 music breakfast show. Very posh? It's BBC... six!? Oh my! Though the tracks here don't attempt anything remotely out of ordinary late 70's tradition what will still appeal to some is the sheer energy and enthusiasm of the band. They're are basically Englishmen on holiday abroad and we all know what an awful mess and alarm they can and will cause. God bless the little monkeys as I'm sure their hearts are in the right place but the rest of their bodies are literally soaked in beer, fish n chips, crisps, black pudding, and deep fried mars-bars. I can't help thinking that the song "Beautiful Mind" is still their best track and I expected something even better or just as good on their long play. Some may say they're a water downed version of The Strokes? But that's really to simplify things. The Damn Vandals are more complex and dare I say wacky? Final verdict: Decent UK rock. But until the next album... have another go at the Television debut and learn from the masters. Inmate is a rather dodgy monicker in my opinion. Are they refering to themselves in the future to come or could it have anything to do with their music? It's not a death metal album, and it's certainly not pop/rock either for that matter. I'd say that 'Free At Last' sits somewhere in the middle, sort of like Gojira or the Swedish outfit Dead By April only worse and not quite as interesting, but what do I know? In fact, there are tons of other acts out there with a very similar sound at the moment. The album has got lots of energy though, and it keeps bouncing along to every little bump and metal grind. The lyrics are sort of religious at times and this surprised us the most actually. Do bare this in mind while listening to tracks such as "Written In Blood", "Overcome" and "Healing". Would this be a hidden agenda? perhaps not, but God is not on their thank you list? This implies either that the album has nothing to do with their beliefs or that the five-piece expect their listeners to make up their own minds? Neither of above possibility has much to do with the actual quality of the band and their material. The music itself may not cause any stigma problem and I don't think there's many born again Inmate believers out there. 'Free At Last' feels unfocused and without any original ideas. The growler is annoying and the material feels more like mosaic than music. Vajra is basically the work of the multi-talanted singer and instrumentalist, Annamaria Pinna. She began playing flute and violin at young age and went on to study music at Julliard. Inspired by her self-imposed exile in India "Pleroma" is an exploration in paradox and weaving eastern themes with melodic, progressive, art-rock and alternative music. Blake Flemming (Mars Volta) on drums as well as other guest musicians plus that Grammy award winning Sylvia Massy (Tool, System Of A Down, Prince) co-produces and Tom Baker (Foo Fighter, NIN, Prince) mastered the record makes this a very professional and great sounding debut. Can you trust the hype? Well, Vajra recently signed licensing agreements with The Discovery Network, MTV, Showtime and Bravo. The music is currently being played at 200 radio stations nationwide, syndicated radio shows, podcasts, and music websites. They performed two shows at SXSW and recently played to sold-out audiences at The Bowery Ballroom, The Mercury Lounge and The Bowery Electric in NYC. Filmmaker Jordan Stone are collaborating to create a visual psychological exploration to accompany the band's mysterious lullabies. You can pick up influences of everything from 80's acts such as All About Eve, Siouxsie And The Banshees, The Cure, to The Gathering, The Violet Hour, as well as old and new prog/art/indie rock. PINK FLOYD: "The Story Of Wish You Were Here"
Confession time: I've always been afraid of the seventies music in the past. I thought of the whole darn era as trippy, hippie, weirdy and, ehem... smelly? You know, unwashed hairdos and sideburns. Not to mention the dodgy fashion and the awful sounding music? It's been quite the drastic change as of lately (probably due to finally growing up?) since I've been listening to all the 70's albums by Bowie, ELO, Ramones, Sabbath, Television, Kate Bush, Eagles, Who, Cat Stevens, Supertramp, Clash, Stones, Costello, Damned, Genesis, Dylan, Elton, Marley, Sparks, Gaye, Doobies, Kraftwerk, Wire, Yes, Eno, etc, etc, etc. There's however one album that beats most, if not ALL of the 70's albums, and here's the story behind the making of the legendary platter. 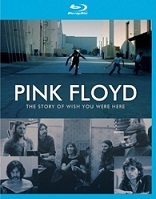 Indeed, 'Wish You Were Here' by Pink Floyd was released in 1975 as the follow-up to their most successful and best selling album. People, don't kid yourself though, this is THE best album ever released by the band and probably also of the seventies era. Sure, Dark Side of The Moon is the album people refer to when mentioning the band. But we all know the truth, yeah? There's a rather sad story behind the making of the album. We all know about former bandmember Syd Barrett, yeah? The mental illness took control over the man and the band wrote songs such as "Shine On You Crazy Diamond" about his state of mind. Interviews with all surviving members (Gilmour, Waters, Mason) and engineer Brian Humphries are breaking down the tracks so you can hear individual sections of the original masters which is always fun to watch. Hardly everything is new and essential but it's been captured in high definition and top notch audio. The album itself is more essential though and the tracks are all classics [Shine On You Crazy Diamond Part 1. Welcome To The Machine. Have A Cigar. Wish You Were Here. Shine On You Crazy Diamond Part 2]. SOLITY: "Booze Blues and Broken Bones"
Solity from Sweden are now releasing their debut album and here's what I thought about their previous EP and I quote, "Solity is a totally solid, but at the same time unreliable and unpredictiable act from Sweden. Steeped in a strange formula and flavours of Thrashy Metal and Radio friendly U.S. Rock, this could either go all the way or straight to the bin", end quote. Well, I did like their "Species 2.0" EP as they turned things around and upside down with quirky hybrid metal. Unfortunately the long play doesn't quite match up to expectations. Lionmusic did release a couple of albums with a similar sound and I'm mostly thinking about acts such as Mister Kite. Only problem is that you can't give away those albums nowadays and you'll find them in every bin across Sweden. But the Kites were at least flying high for a week or two. Opener "Gunslingers Kiss", doomy metal intro in slow motion before the CD takes off with "Down To The River". In fact, "Booze, Blues and Broken Bones" - it's basically a thrash tech-metal album based on massive riffing and groove. However, Solity are no strangers to eighties sleaze and melodic hardrock. The EP also showcased a U.S. Rock influence and "Breaking News" sounds like Linkin Park on a date with Dave Mustaine. The riffing is fun and modern but you're not going to spend your summer humming these tunes. The lack of fun choruses are just too much in the end. Jazzy prog passages and basically a spiral of genres, tones and rhythms, are melted together into Profusion. Taking elements of metal, fusion, 70's progressive rock, and pop, the band goes through every sound spectrum of music on their second album release. The Italians are clever right down to the album's title and many of their arrangements are refreshing and fun. They are actually very melodic at times and especially the ACT, IQ, Rush, fan will appreciate the formula. Tracks like "Taste Of Colours Part Two" and "Tower Part Two" start to sound a little samey after a while (and yes, there's a part one of both tracks), but then every now and then you have absolute killer material screaming into view. It's definitely full marks for show/craftmanship and musical flexibility as these guys have been doing their homework as ambitious prog musicians. They may however still lack that little extra when it comes to actual songwriting. Nontheless, each and every track reveals a new dimension, a different take at music as they mix rock, metal, fusion, pop and acoustic tango?? To be honest and frank (or whatever name you prefer), it's perhaps a bit too much of everything and the outcome is massively complex at times. This is not to deny the band's underlying abilities to record a smashing perfect album the next time around. For now, back to the drawing board and sort out some of all of their influences. Decent, good, but not quite the classic release. Xanadu - not to be confused with the sappy film score tune sang by Olivia Newton John (and written by ELO's Jeff?) nor the legendary fantasy place of long gone days. Appearantly a continuation of the "old Xanadu" from the 1990's though as drummer (Hubert Murawski) binds the two bands. It's not like we knew about their old band for that matter. 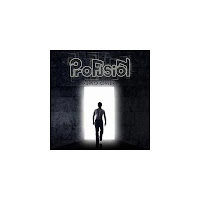 However, it's progski from Poland and these guys feel the need to play ambitious music with a hint of melancholy, yet with some rock inside? There's a pattern of atmospheric, dark, moody, prog-metal, to be found within these seven tracks. Despite kicking off on the right foot with some fairly decent prog (Piece Of Mind), things gets quickly dull and dare I say boring? The vocalist is far from impressive and their heavy riffing reeks of Machine Head rather than Pink Floyd. The lack of proper melodies are however their weakest link. Final verdict: Good musicians, weak material. The Polution debut "Overheated" also from Escape Music had its moments. 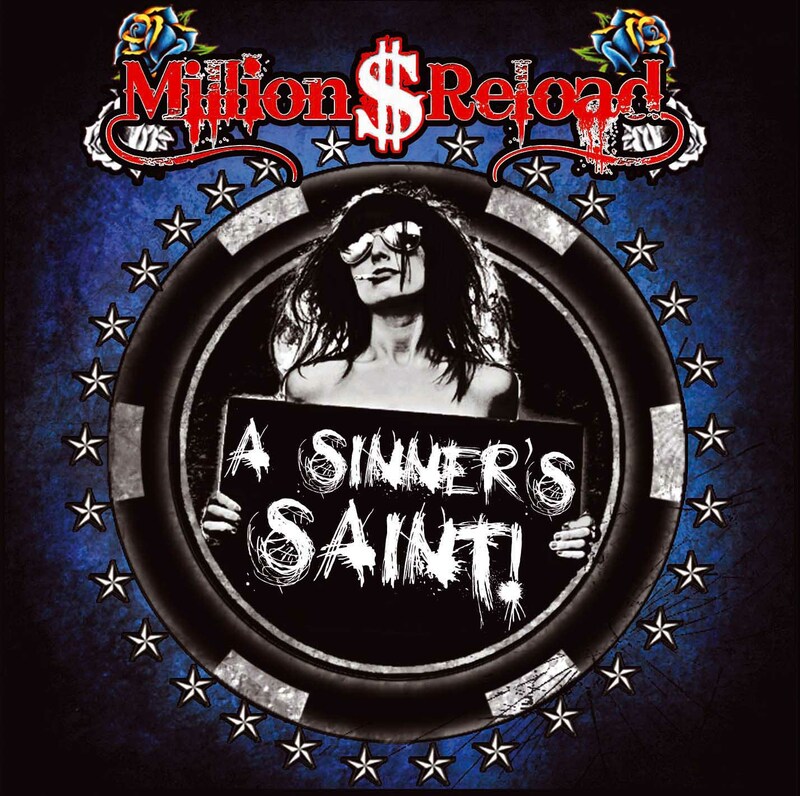 Full-frontal guitar rock attack from Switzerland and in the vein of Airbourne, Dirty Looks, Krokus, D.A.D, you know, the three to four-chord 'Acca Dacca' style of music. Nothing fancy, nothing new, weird or pompous. But it works as long as you keep the hooks coming and the guitars screaming. Something which they haven't quite managed to capture on this particular record. Lyrically, things don't get off to best of start as you endeavour to comprehend the angry words that are coming out of their very upset barbwire vocalist. 'Get outta' my way - Get outta' my sight'. Sigh, it's like you have to (once again) experience any conversation you've ever had with your parents/mates/neighbours/whatever (take your pick). Dude, I don't need the negative vibe... or perhaps I'am reading too much into this? The lead vocals are desperately searching for a place to belong and finally end up somewhere between the modern rock acts and the deranged sleaze/thrash rocker of the past. The melodies are steeped in the AC/DC vs Metallica mode this time around and it's so been there, done that. The conclusion of Polution? it's nothing new under the sun and although I don't think that was the point with this record... I still believe it's important to make a sort of lasting impression. Could work as pub music after a dozen of beer or more. 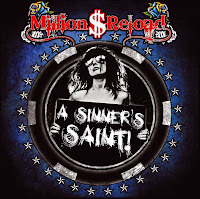 MILLION DOLLAR RELOAD: "A Sinner's Saint"
For some reason, I thought that this band was from Switzerland. They're not, they're from Ireland, but they surely have a very "Swiss" sound. You know, Krokus, early Gotthard, Shakra... Riff-driven hard rock with some nice melodies here and there. And of course, a gravel-throated vocalist. Among the more riff-based, AC/DC-influenced and frankly not that exciting rockers, the more melodic songs stand out positively. "Bullets In The Sky" is the first one of them, a song that reminds me a bit of Great White and Tesla. The ballad "Broken" sounds like something that Cinderella could've topped the charts with in 1988, while "Wicked" has a definite Tyketto vibe. The album's highlight for me is the catchy "Smoke 'N Mirrors". The song may be a distant cousin of Cinderella's "Shake Me", but it has enough identity to escape any "rip off" accusations. All in all, a rather rockin' effort from this band, even though I wouldn't mind if the band attempted to add some an extra injection of melody to ALL of the songs on their next album. 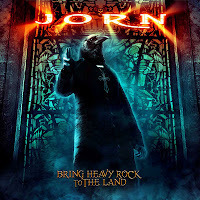 JORN: "Bring Heavy Rock To The Land"
There's no question about it, Jorn Lande is one of the finest rock/metal-vocalists out there today. He's best known for his work with Masterplan and various projects like Avantasia, but ever since his first solo album in 2000, he has released several albums on his own. Or with a band called JORN, I guess that's the preferred description. 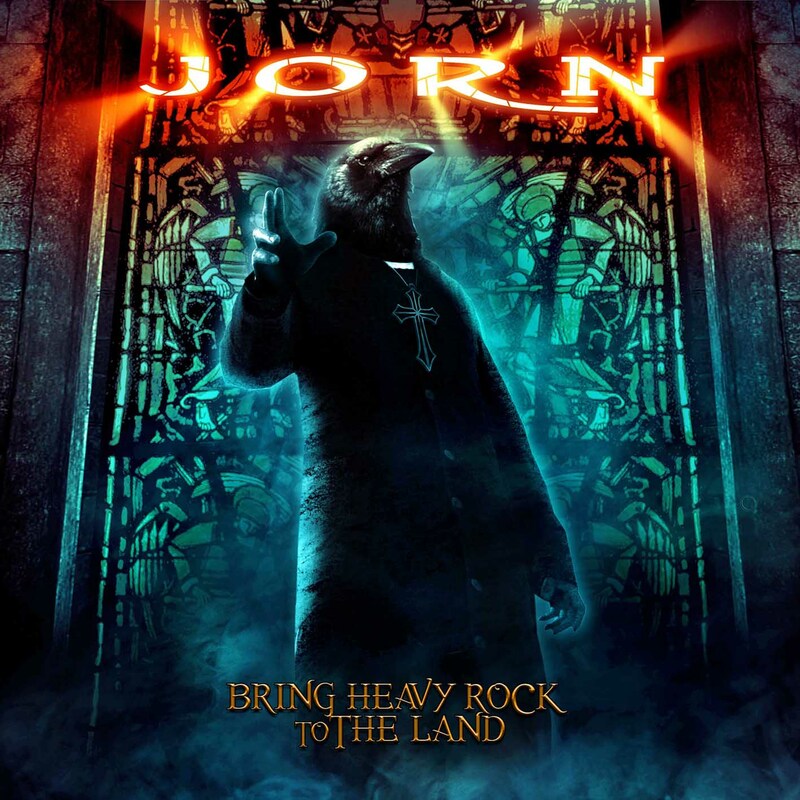 I haven't heard much of Jorn's solo material, but the couple of albums I've heard haven't exactly blown me away. Great vocals of course, but somehow uninteresting song material. "Bring Heavy Rock To The Land" shows some improvement in the songwriting department, with a few rather strong songs. The rest of the album doesn't hold my attention quite as well as the first few songs, even though especially the balladic "The World I See" and the fast-paced "Ride To The Guns" give them a run for their money. As for the rest... solid heavy rock but not too memorable. Kind of like most of Jorn's material?!? Wiggle Wiggle... apart from sounding a bit like the Finnish composer Sibelius, Wigelius is the last name of this band's vocalist Anders and drummer Erik. It's a bit unusual name for a band, but does it matter if the music's good? Had the band been named after one of the two other members, it would've been called Svensson or Petersson... I guess their current monicker is better. Producer Daniel Flores scouted Anders Wigelius from a TV show where he was singing Journey, and hooked up with him. 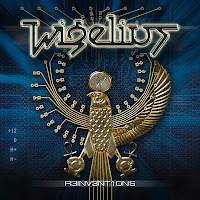 "Reinventions" is the result, an album full of sweet AOR melodies along the lines of Toto, Journey and Michael Morales. Don't know about "reinventions" though, this is pretty safe and standard AOR material. 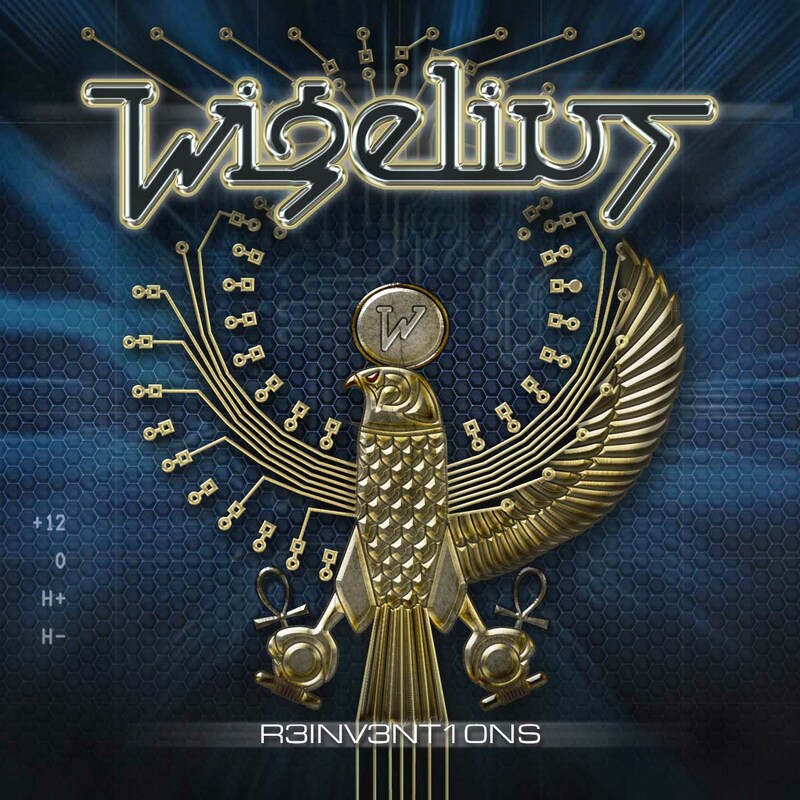 Although I know that Wigelius aren't really offering anything new to the genre, most of their songs do push the right buttons and I can't help but like them. I'll admit that a few of the songs are bit too sweet for their own kind, but there's still plenty of enjoyable, well executed soft rockin' on the album for all you AOR fans out there. Just don't expect anything out of this world, just good basic melodic rock. Highlights: "Next To You" and "I Reach Out".